In a hot Spanish kitchen a little boy’s mouth waters as he daydreams about the citrus tang of freshly-squeezed juice; in the weak sunlight outside a Russian Orthodox church, splinters of wood ‘dance’ like so many motes of dust; and in a camp in Germany three prisoners of war look upwards and marvel at the near-weightless liberty of the birds they see. These are some of the exquisite moments – almost visual in their vibrancy – that are captured in the pages of Still Life. In this rich and textured anthology, the mundane is transfigured as poets attempt to answer – or at least to establish – the ‘big’ questions of life. 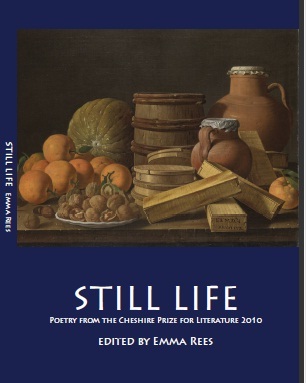 In being recalled and recorded in poetry, ‘still lives’ are endowed both with vitality and with a particular kind of immortality, too.